Madeline Finn is a struggling reader. She yearns for a star from her reading teacher, but continues to receive heart-shaped “keep trying” stickers. One Saturday, her mom takes her to the library where they are holding a special program to read to a dog. Madeline is paired with a big, beautiful white dog named Bonnie. 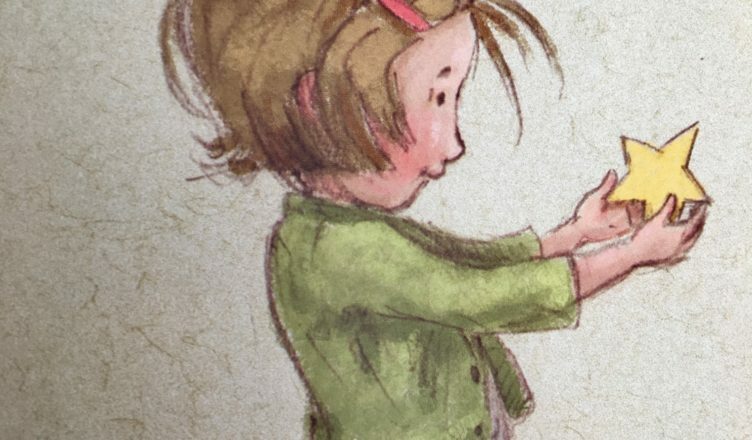 At first, Madeline begins nervously and mixes up the words she reads aloud. Madeline feels encouraged by Bonnie’s supportive presence, however, and continues reading with her several Saturdays gaining more confidence each time. Madeline’s hard work pays off and after an exciting moment of reading aloud at school, she finally ascertains her beloved star. 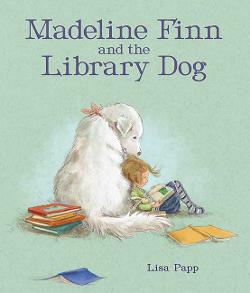 This sweet and tender story is perfect for struggling readers and libraries that host Read to Dog programs. It can also be used by teachers to encourage students to read to puppets, stuffed animals, or pets at home to build confidence as a reader.